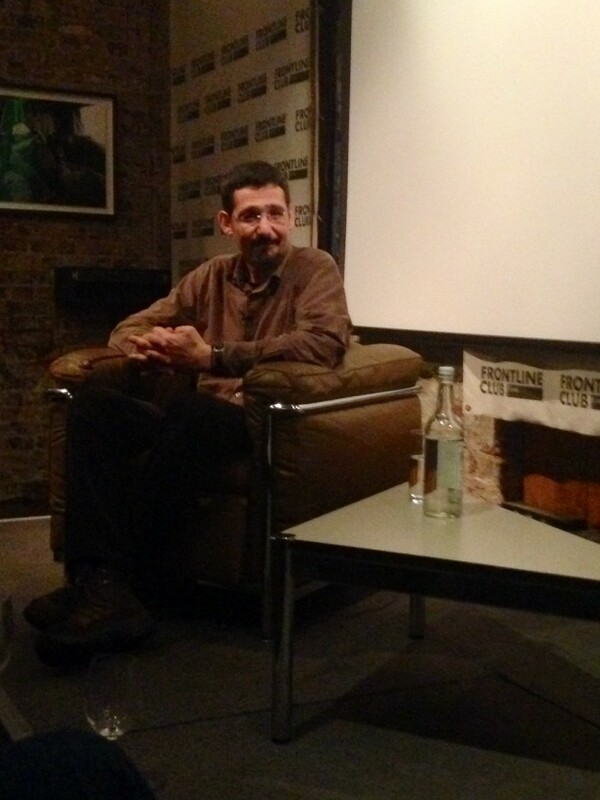 Yorgos Avgeropoulos at the Frontline Club. Avgeropoulos was also asked to bring us up to date on the operations of ERT now and how they are able to continue broadcasting. An audience member asked if it were possible to make some form of comparison between ERT and the BBC and how the two would compare. More information about The Lost Signal of Democracy can be found here, and details of Avgeropoulos’ upcoming film, Agorá, can be found here.